Here is a picture of the new Central Director of the Administrative Policer, Michel-Ange Gédéon who was installed on Monday, Feb. 29, 2016. On February 29, 2016, Michel-Ange Gédéon, the Divisional Commissioner and former head of the West Departmental Office (DDO) has been installed as the Inspector General of the National Police of Haiti (PNH). 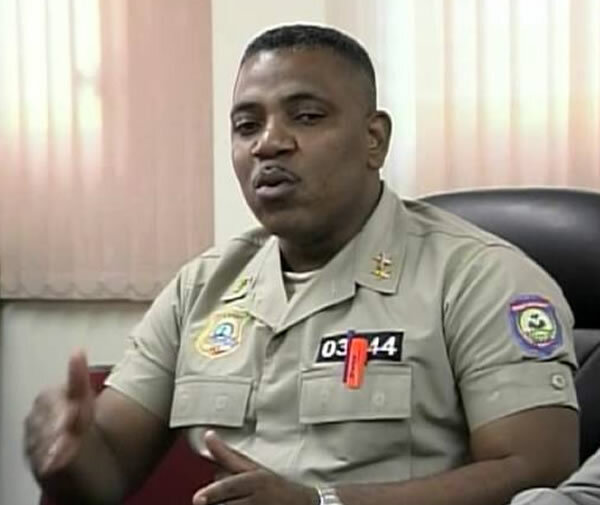 He will hold his office at the Central Directorate of Administrative Police (DCPA), one of the most important bodies of the National Police of Haiti (PNH), by replacing the former Inspector General, Destorel Germain, who had held the post for the past ten years. The installation ceremony of the new Inspector General Michel-Ange Gédéon was attended by many institutional executives. The new Inspector General, in a note of thanks, thanked the Director General of the PNH to select him for the honorable role and expressed his commitment to fulfill his entrusted mission.